Quick Thoughts: GRIMM, "Season of the Hexenbiest"
I haven't been shy about admitting that Season 2 of Grimm has had its share of ups and downs, which is fine since no show's perfect, and I was happy that it ended its second fall run with a fairly solid (if sometimes uneven) episode. 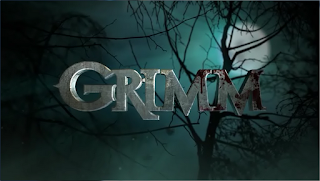 A show like Grimm lives and dies based on its serialized story elements, and I've thought that Season 2 has done a good job at re-establishing and building off of its mythology. We have a better understanding of the forces pulling Nick's strings and so far the build up has been methodical and could use a boost. Thankfully, "Season of the Hexenbiest" was able to rev the on-going arc into overdrive while not pushing the show into the red mostly on the back of the returning Adalind. Up until now, Grimm hasn't had a true baddie to hang its hat on. Sure, we don't know everything about Renard and the royals, but a shady entity needs a face and I have to admit that Adalind works in that capacity. She was delightfully evil during this one as she toyed with Nick by popping up and interacting with those closest to him. She even got in some woman scorned moments as she orchestrated the hit on Hank and mocked Nick from her jail cell. Was it over the top? Yup. Was it fun? Sure was. I'm glad that Claire Coffee has been upped to a regular because she could be the missing element that Grimm needs, and if anything else she provides a nice foil for Nick and I wouldn't mind seeing a Buffy/Spike dynamic down the road. The reason why I'm open to a Nick and Adalind tryst is because the Juliette amnesia arc finally reached its limits during "Hexenbiest." I'm still OK with her being under Renard's spell, especially now that Nick knows that he's the mystery man, but her character was written so poorly for this one that I found myself hating her all over again. I understand that Adalind's a witch who can charm almost anyone, but Juliette just tossing out important information so casually was too much to handle even if it did lead up the Renard finding Marie's trailer. Maybe if the writers can salvage her once the season picks up again, then I'll be back on board, but for now I'm hoping that she gets killed off once and for all. As always, "Season of the Hexenbiest" had its fair share of flaws, but it also had enough forward momentum, twists and turns to be entertaining. And I'm never going to complain when we get more of Monroe at Nick's side. Plus, it kept me on the hook for the long hiatus, so in that regard it was a success. Good job, Grimm.